Longleat’s Festival of Light – A Fantastic Voyage is the Wiltshire attraction’s most ambitious ever Christmas event. 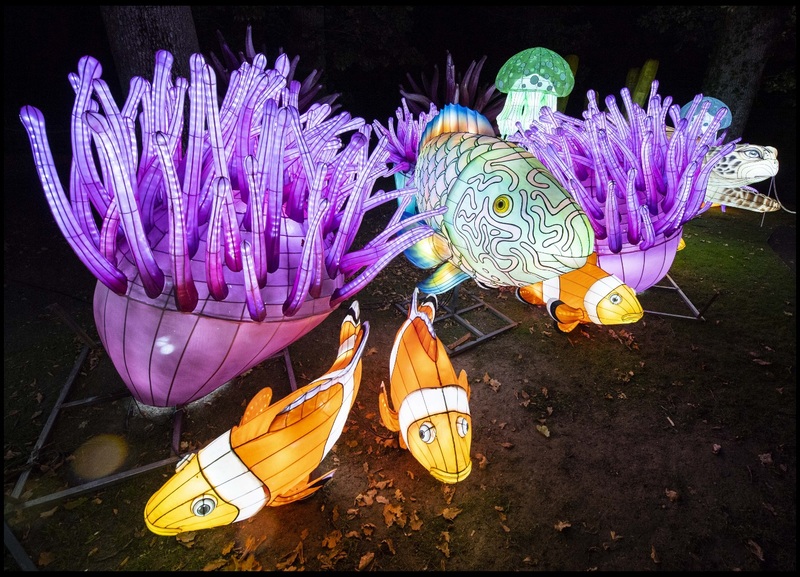 Featuring more than 1,000 different illuminated lanterns and three-dimensional scenes, visitors can expect to be taken on a magical journey through time and space, from the age of the dinosaur to a rocket trip around the solar system. 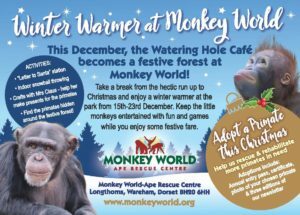 There’s also there’s the chance to go on a drive-through Winter Safari, experience ‘A Flight Before Christmas’ with real flying owls, and be transported by the Santa Train to meet Father Christmas in his wintry woodland grotto. For more information go to www.longleat.co.uk/festival-of-light. 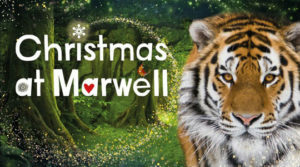 Marwell Zoo has transformed into a magical winter wonderland for its festive event with glittering illuminated trees and an enchanting Neverland-inspired world inside the zoo’s Grade 1 listed manor house. The family friendly Christmas experience lasts around 60-80 minutes and includes an enchanting tale inspired by Peter Pan, a Christmas present workshop with the mischievous elves, a competition to win a stocking full of presents and the chance to meet Santa in his grotto. A magical new family experience is on offer at ZSL London Zoo this Christmas as the iconic landmark hosts a magnificent festive light trail. After the sun sets and the animals have bedded down, the Zoo will transform into a fairyland of twinkling decorations with over 100,000 gently glistening lights. 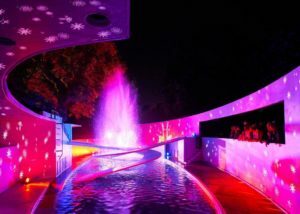 Marvel at the illuminated animal sculptures, including flying flamingos, towering giraffes and a giant glowing lion, and the beautifully lit fountains at the historic Lubetkin penguin pool. Hear the mesmerising sounds of the Singing Trees before enjoying some traditional treats at the Zoo’s Christmas village. 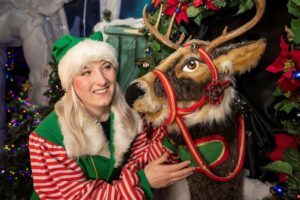 During the festive season Yorkshire Wildlife Park will be enchanted by Christmas elves, a Polar Bear Santa and festive characters who will be spreading goodwill during special walkabout appearances. Christmas Fairs featuring over 90 stalls will take place over the weekends of 8th and 9th plus 15th and 16th December with Father Christmas in his Grotto on all four days and a Victorian fairground, brass bands and singers performing Christmas songs adding extra sparkle. 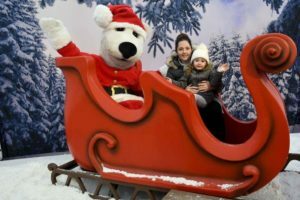 West Midland Safari Park is hosting its annual Santa Safari with a magical grotto, over 350 Christmas trees and a transformed Discovery Trail featuring sparkling lights, baubles and a sprinkling of ‘snow’. Children will be able to meet Santa in his grotto, enjoy some amazing stories from the park’s animals during ‘Elf Story Time’ and visit the Elf Craft Club in the Safari Academy.